With its dramatic scenery and wonderful climate, it’s no wonder that Mallorca has long been enticing the rich and famous to its shores. From Chopin to Charlie Chaplin, numerous big names have holidayed here over the years, and these days the likes of Claudia Schiffer, Brad Pitt and Pierce Brosnan own homes on the island. 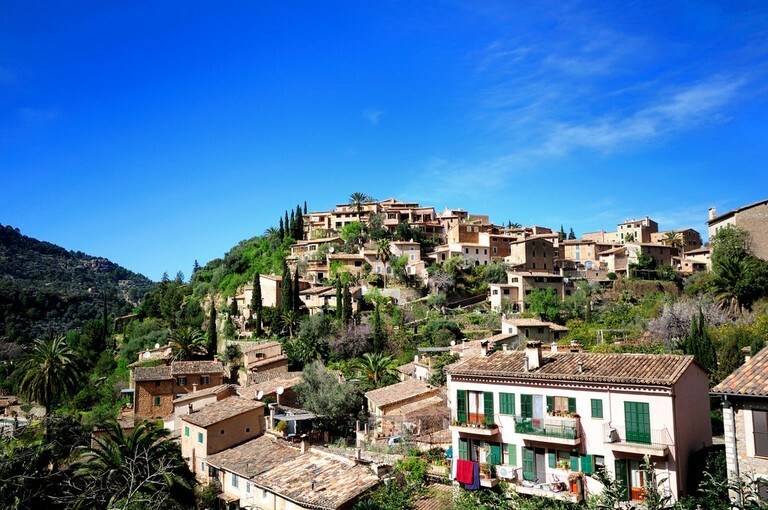 Famous faces are often spotted all over the isle, but the stunning mountain village of Deia, which has been attracting the creative jet-set for generations, is still the very hottest place to be. English poet Robert Graves came to Deia in the late 1920s and, aside from periods away during the Spanish Civil War and World War II, he lived in the village until he died in 1985. Throughout his time on the island, Graves had a stream of creative visitors, including famous friends such as Sir Alec Guinness and Ava Gardner, and the remote village’s reputation as an artists’ colony grew from there. Musicians and artists flocked to the village from the 1950s onwards, and the influx of wealthy bohemian types has never really stopped since then, although these days it’s perhaps more about wealth than bohemia. Kevin Ayers, acclaimed songwriter and founding member of 60s band and psychedelic pioneers Soft Machine, lived in Deia for many years, and is buried in the hilltop churchyard, as is Robert Graves. The beautifully maintained village still has rustic charm in spades, with pretty green-shuttered stone houses clinging to the hillside, but property prices have soared in recent years. Many celebrities have holiday homes in the area, with Bob Geldof reportedly being one: his daughter Pixie recently married in the area, bringing an influx of famous wedding guests with her. Andrew Lloyd-Webber summers in the village, and Hollywood giants Michael Douglas and Catherine Zeta-Jones own an estate just down the coast that is presently up for sale for a cool €36.5 million. 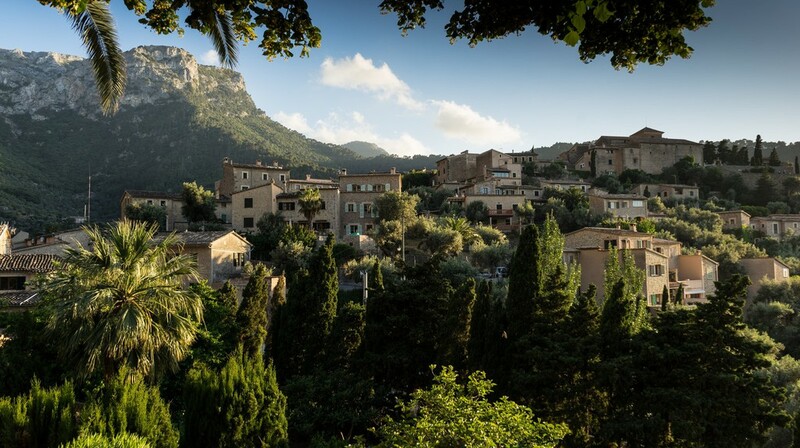 Those who don’t have their own villa and choose not to rent one tend to stay in the Belmond La Residencia. In keeping with the area’s artistic vibe, the hotel its own gallery, with over 30 original Joan Miró artworks, plus one of Spain’s largest permanent sculpture gardens. Formerly owned by Richard Branson, the hotel has hosted the likes of Kate Moss, Princess Diana, Robbie Williams and Gwyneth Paltrow. Wandering around this tiny and blissfully quiet place, it’s hard to imagine what party-loving celebrities get up to when holidaying here. Most come for the beauty and tranquillity, and a chance to relax away from the cameras, but you can be sure there’s still a fair share of poolside shenanigans going on. Over the decades, there have been endless stories of spontaneous jam sessions, raucous dinner parties and moonlit skinny-dipping, and in August, when the population of the village more than trebles, the sounds of late-night revelry can often be heard echoing around the hillside. For a small village, there are lots of places to eat and drink, including the Michelin-starred Es Racó d’Es Teix. The Sa Fonda bar is the hub of the village, and is the place to mingle with locals and see some well-known faces over the summer season. By day, the bar is a casual cafe, but by night it comes alive, with many kicking off their evening here with a cocktail or two, and returning later on for some live music and dancing. Although Deia’s position high up on the northwest coast offers stunning views down to the sea, the area is not known for its beaches, and most of the coastline on this side of the island is rocky. There are, however, plenty of stunning coves that are only accessible by boat, for those who want a more discreet swimming experience. 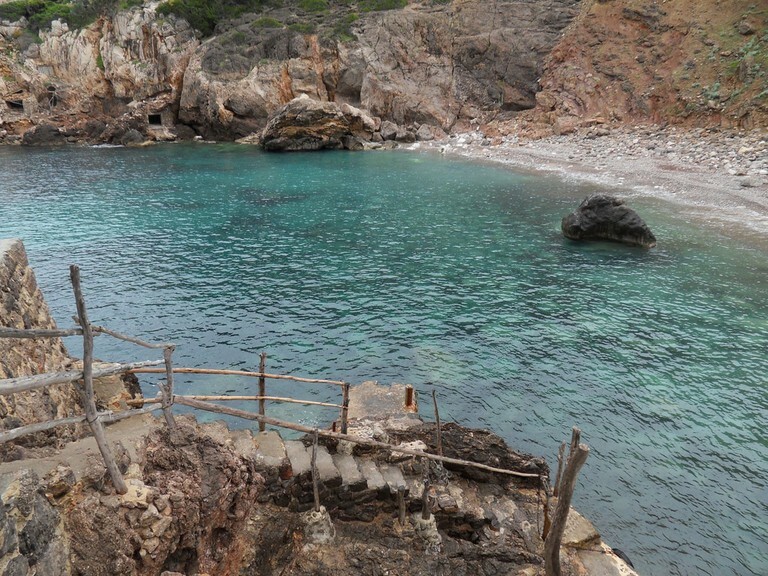 For a swim followed by lunch, without the need for a boat trip, nearby Cala Deia is a lovely little cove with a rocky beach and a seafood restaurant (Ca’s Patro March) that was made famous by the BBC television series The Night Manager. Robert Graves would swim in these waters every morning before settling down to write, and with its crystal-clear waters and sublimely scenic surrounds, you can certainly see why, and why so many others choose to follow in his wake.